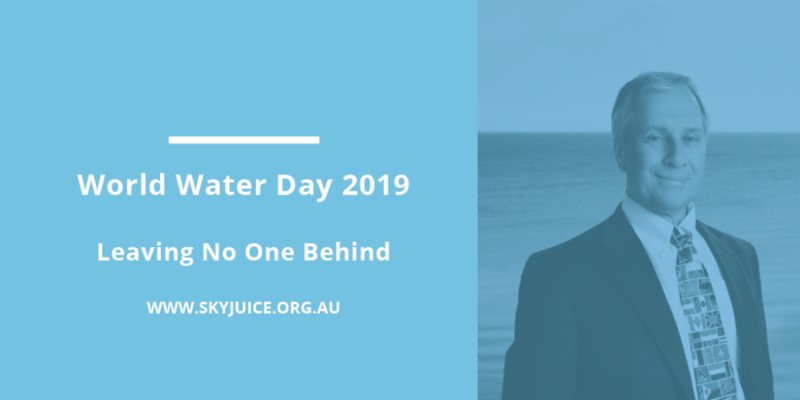 Safe Water Kiosks (SWK’s) provide potable water for an entire village, using SkyHydrant membrane filters that work independently of the external power supply and process between 500 – 1,000 litres per hour of safe water. SkyJuice has partnered with established NGO’s to supply innovative complete pre-fabricated kiosk modules. A typical Kiosk will service an immediate community of 1,000 – 5,000 people. Our building quality and standardised design can be flexibly and readily deployed in multiple locations. 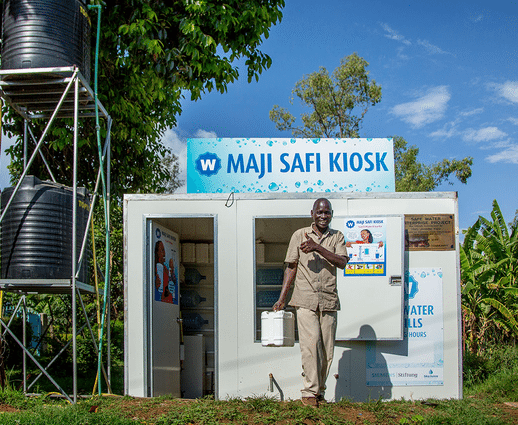 So far, in conjunction with our partners (in particular Siemens Stiftung,) we have installed 20+ Safe Water Kiosks around Kenya, Uganda, Tanzania and Vietnam. Above: Safe Water Kiosk, Maragua, Kenya. Image supplied courtesy of Siemens Stiftung. A major premise is to encourage empowerment of local communities as well as reinforce hygiene practices. To prevent water from being re-contaminated, cleaned water containers are exchanged free of charge at the water kiosks for the community. Users can bring their own containers to the kiosk to be sanitised onsite prior to being filled with safe clean water. Various sustainable business models have been implemented by our partners to encourage regular safe water consumption and reinforce long term benefits. Above: Water Kiosk in Soko KogwenoImage, Kenya. Image supplied courtesy of Siemens Stiftung. Reliable safe water not only improves health conditions in the local community, but it has real flow-on effects. The immediate impact is that healthy children can consistently attend school. Also healthy parents can work and maintain a household income. 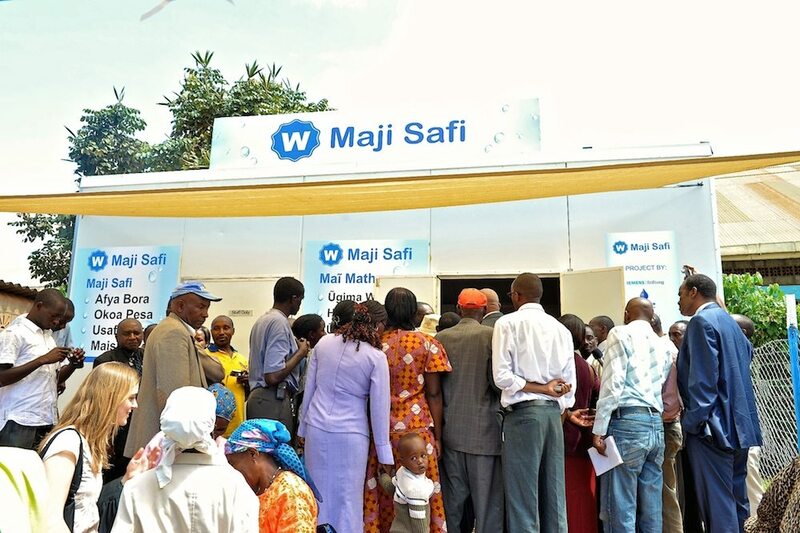 Kiosk operators can make a reliable income from the sales and distribution of water at “socially affordable” prices. Water kiosks are a common sight in many African towns. People travel to the kiosk, pay to fill up containers with water, and take it home. However, many of these kiosks are consistently providing water that hasn’t been treated – and hence is unsafe for drinking. Implementation of SWK’s can break this cycle. that community water plants can be installed quickly. Unlike almost all other kiosk models, our technology uses no electricity, or chemicals ensuring that the cost of running the units is kept as low as possible. The water stations foster entrepreneurship and create new opportunities for generating income. The filtered drinking water is sold at an affordable price, and the earnings are reinvested in maintaining and expanding the project. Station managers receive the required technical and entrepreneurial training. The medium-term goal is for ownership of the stations to be passed on to local communities and entrepreneurs. Some partners refer to these as Safe Water Enterprises. 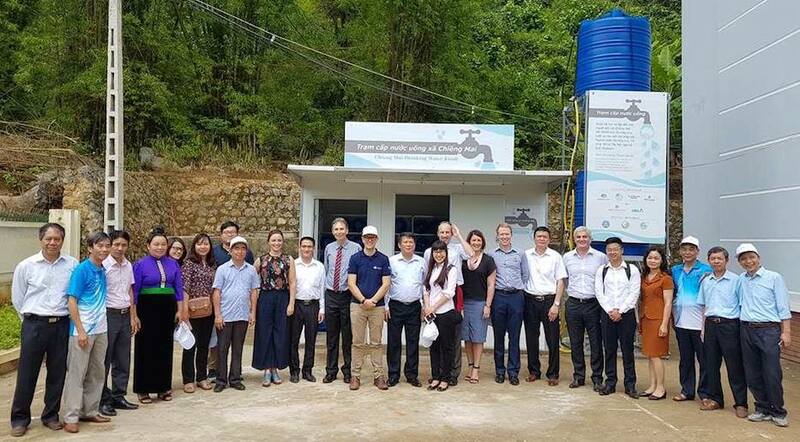 Above: Water Kiosk in Chieng Mai community in the Song La Province, Vietnam. 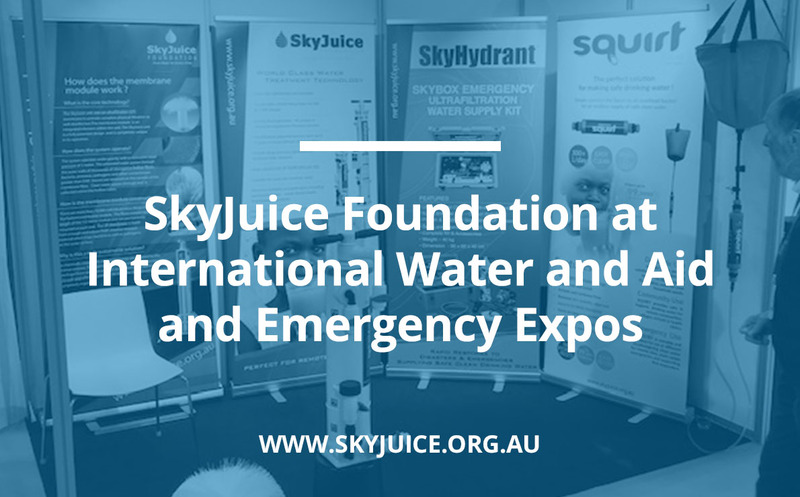 ACKNOWLEDGEMENT: SkyJuice Foundation proudly acknowledges and endorses partners in our global kiosk projects. These are, Siemens Stiftung, Global Nature Fund, The Hunger Project, SOS Children’s Villages, SWAP , Pureflow, Australian Water Association, Australian High Commission (Kenya), Australian Dept. of Foreign Affairs and Trade, Evoqua Water Technologies. Thank you for choosing to donate to the SkyJuice Foundation. All donations make a difference. 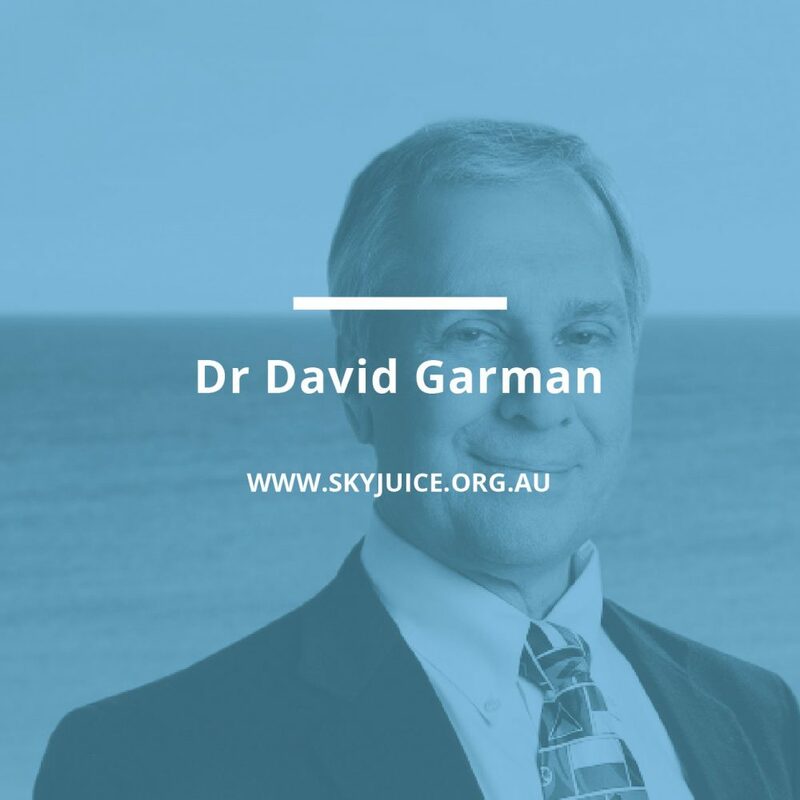 Click the image above to make a donation using the secure engine givenow.com.au. 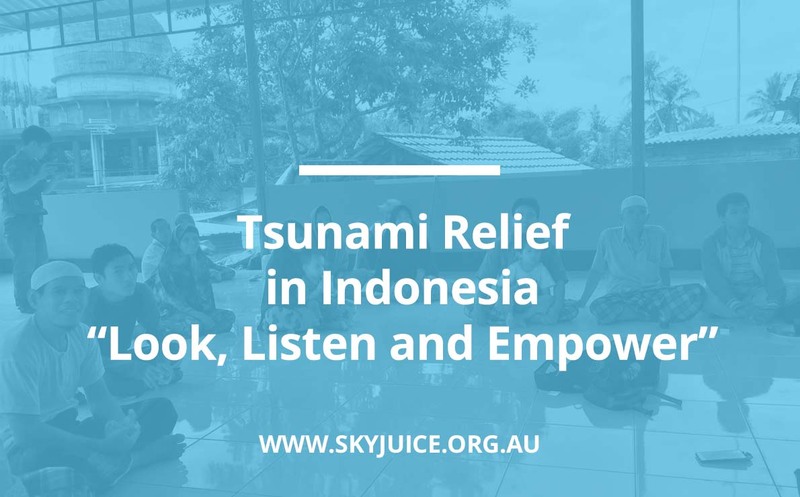 SkyJuice™ Foundation Inc, is incorporated in NSW, Australia. You can contact us using the online contact form or phone us direct.